The first step of the IBC cleaning and reconditioning process involves visually checking the cages and other structural mechanisms and making any repairs required. The IBCs are then cleaned with high pressure alkaline solutions followed by fresh water rinse. After this we dry them and then test, repair or replace all valves, gaskets, and body closures. To do all this we use the best state of the art electronic testing equipment incorporating our unique valve pressure equalisation probe with complete traceability. This is quite unique in the UK and we pride ourselves with the fact that we have been in this business for so long it’s very important to us to keep up with the latest techniques to stay truthful to our good reputation. If a bottle cannot be reconditioned to a perfectly acceptable condition, we install a new bottle and valves into the old cage. This procedure is known as “rebottling” and the IBCs that undergo this process are called “rebottled” IBCs. Once the IBC cage is in perfect condition, the bottle clean and leak tested the IBC will be sold as a reconditioned IBC. These IBC’s can be used again for anything that won’t be consumed by humans or animals. However, these non-food grade IBC’s are perfect for many industries such as chemicals, oils, resins, paints, construction and many more. They are suitable for non-hazardous goods and hazardous goods with UN approval. After we have gone through all these processes, each of our reconditioned IBC’s is supplied with a tamper evident tab on the lid and on the valve.With many years of experience and accredited to ISO 9001 with a United Nations certification, you c an fully rely on us to deliver the best quality containers possible. 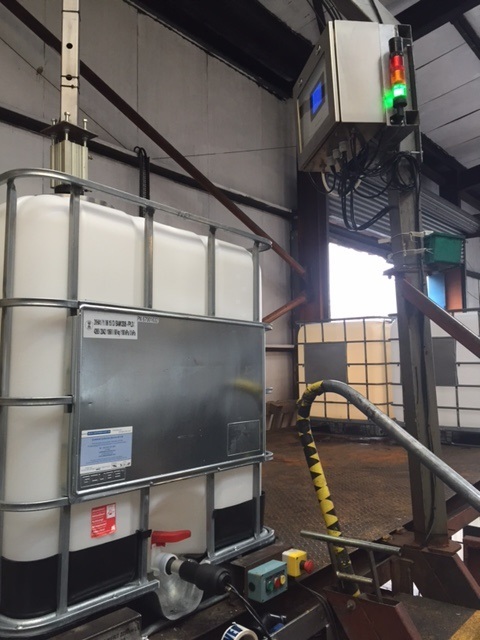 If you have any questions about our reconditioned IBC’s, or any other IBC’s please contact us for any further information.